The Sharjah FDI Office (Invest in Sharjah), the FDI office operating under the Government of Sharjah, has announced the emirate’s total foreign direct investment is expected to exceed a record AED 1 billion (US$ 272m) by the end of the year – an anticipated growth of 15% on 2016. 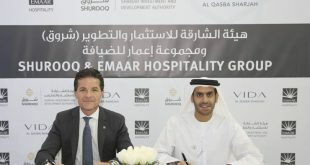 The figures are a testament to Sharjah’s focus on encouraging overseas businesses to establish and expand their assets in the emirate, and emphasise the overall attraction of its unique prospects. The news is particularly impressive to economists and entrepreneurs who also witnessed record FDI figures of AED 912 million last year. 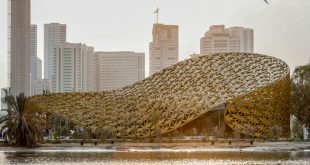 The announcement came during Invest in Sharjah’s participation in the seventh edition of the Annual Investment Meeting (AIM 2017), which was inaugurated this week by His Highness Sheikh Mohammed bin Rashid Al Maktoum, Vice President and Prime Minister of the UAE and Ruler of Dubai, at Dubai World Trade Centre. 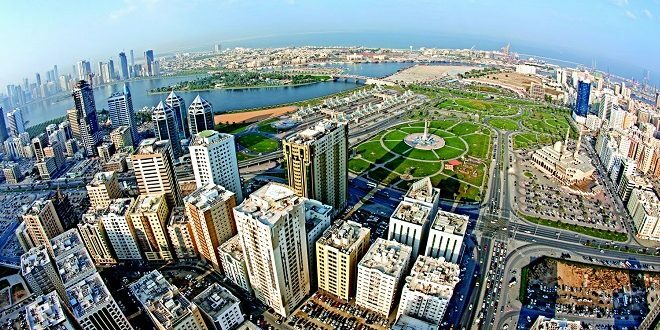 Sharjah’s internationally recognised business-friendly environment indicates it is increasingly becoming a natural choice for investors looking to break into a Middle East market or increase their presence, and the trend from previous investments from major financial traders looks to be continuing. Invest in Sharjah is participating in the three-day event along with four other leading government entities and departments – Sharjah Chamber of Commerce and Industry (SCCI), Sharjah Economic Development Department (SEDD), Hamriya Free Zone Authority (HFZA) and Sharjah Environment Company (Bee’ah). Organised by the Ministry of Economy under the theme ‘International Investment, Path to Competitiveness & Development’, Invest in Sharjah is spearheading the pavilion, which continues to welcome high-level attention from international CEO’s, investors and FDI officials across all industries, pointing to even more interest from abroad. Working hand-in-hand with the other entities to showcase the emirate’s economic landscape and the opportunities which have made it such a prominent force on the Middle East business stage, Invest in Sharjah also stressed the importance of moving towards the concept of sustainable development to ensure the future of the coming generations which will be achieved by attracting foreign investments. Representatives from all the organisations at the Sharjah pavilion informed visitors to the stand of the chain of major incentives on offer and the feasibility of establishing businesses in the emirate. These are particularly relevant in sectors such as environment and sustainability, healthcare, transport and logistics and tourism and travel, where the demand exceeds supply of products and services in the local market. Commenting at the Annual Investment Meeting, HE Khaled Al Huraimel, Group CEO, Bee’ah said, “We are glad to be part of Sharjah’s participation in the Annual Investment Meeting With over 140 countries attending attracting over 150,000 attendees. The timing is ideal with so many of the governments of the world focusing on the environmental sustainability sector, it is now primed for investment as we have seen and heard at the event today. As an international, integrated environmental company that is based in Sharjah, we are ideally placed to represent this fast-growing investment pillar at the Annual Investment Meeting. Foreign and domestic interest demonstrate that Sharjah is not only a highly attractive investment destination, but also the regional leader in the field of environmental sustainability”. 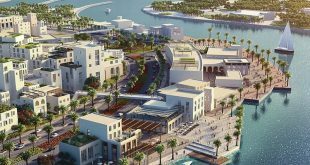 “Reflecting this confidence, the tourism and travel sector is expected to grow to more than AED 5 billion by 2019, while the transport and logistics sector is projected to reach AED 7 billion. 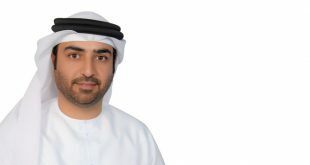 The healthcare sector is expected to touch AED 8.76 billion, while the environment and sustainability sector is predicted to make great leaps ranging from AED 87.6 billion to AED 171 billion by 2019,” Al Musharrkh said. AIM 2017, a leading global platform aimed at facilitating strategic networking and promoting FDI, brings together the international business community, corporate leaders, policy makers, experts and key investment players from 140 countries to discuss the prospects of developing international investments, with a focus on highlighting the importance of FDI inflows to the economies of countries worldwide. As one of AIM’s key sponsors, ‘Invest in Sharjah’ aims to make the most of the global forum to introduce Sharjah’s unique opportunities and its business-friendly environment to participating economic authorities, businessmen and international investors. It also strives to showcase Sharjah’s diversified economic system, which offers promising and rewarding returns across all its sectors. Held under the theme ‘International Investment, Path to Competitiveness & Development’, AIM 2017 highlights the importance of international investments as a safety valve for the economies of countries. It also focuses on attracting foreign investments considering the importance of moving towards sustainable development to ensure the future of generations to come. 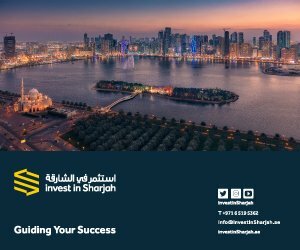 Invest in Sharjah aims to promote Sharjah’s investment opportunities and economic potential in compliance with the highest international standards, while ensuring providing premium services to attract global investors from across the region and the globe.